For practically the past decade, Stan Lee has maintained himself as a Marvel comics legend. He was the original creator of such comic series as Thor, Spider-Man, the X-Men, Hulk, just to name a few. His legendary status was only solidified when he began making brief cameo appearances in every Marvel film released. These tiny snippets have remained both hilarious and anticipated additions to the films. While battling pneumonia may not seem like such a serious problem (since, you know, we’re not living in the 1800s), it could be a very serious problem for the 95-year-old. 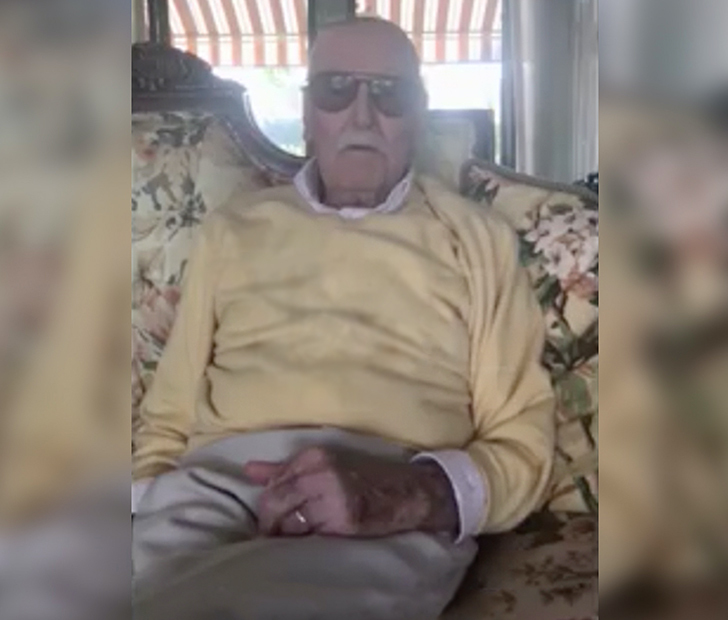 It was also just a month prior to recording his message that the Marvel legend was taken to the hospital when he experienced shortness of breath and irregular heartbeats. While it would be an absolute tragedy to lose someone like Stan Lee, at his age we have to acknowledge the fact that he may not be around much longer. While someone with his spirits could easily live to be 110, oftentimes physical health trumps mental health. SHARE this article to wish Stan Lee a quick recovery! Previous ArticleThese Vintage Sexist Ads Are Unbelievable!